Gov. 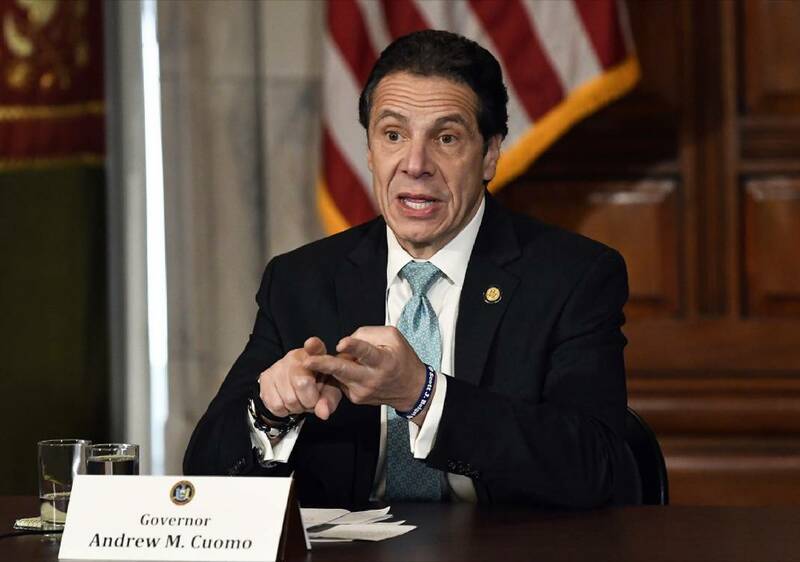 Andrew Cuomo warned Friday that what he calls "political pandering" to critics of Amazon's proposed secondary headquarters could sink New York's biggest-ever economic development deal. But opponents say they'll keep fighting about a project they consider corporate welfare. "We are working hard to demonstrate what kind of neighbor we will be," the Seattle-based company said in a statement. "And that's what could stop Amazon," he said at an unrelated event on Long Island. "I've never seen a more absurd situation where political pandering and obvious pandering so defeats a bona fide economic development project. "We rose up and held the line. It's not over, but I'm proud of the values we fought for," Democratic City Councilman Jimmy Van Bramer, who represents Long Island City, said in a statement. Democratic Rep. Alexandria Ocasio-Cortez, whose district includes some nearby neighborhoods, suggested on Twitter that the report showed people can "come together and effectively organize against creeping overreach of one of the world's biggest corporations." A Quinnipiac University poll released in December found New York City voters favor bringing Amazon's campus to the city, by 57-26 percent. But they were divided on the incentives, with 46 percent supporting the package while 44 percent opposed it. Amazon is building a similar-sized facility in Crystal City, a section of Arlington, Virginia, just south of Washington where it also will hire more than 25,000 employees, and Amazons plans to open a $230 million "Operations Center of Excellence" in Nashville that will include more than 5,000 jobs. Collectively, Amazon estimated the incentives for all three of the sites could hit $2.2 billion.